Mobil Almo 500 Series lubricants are premium quality high performance products primarily intended for the lubrication of pneumatically operated rock drills in underground and surface mining operations. 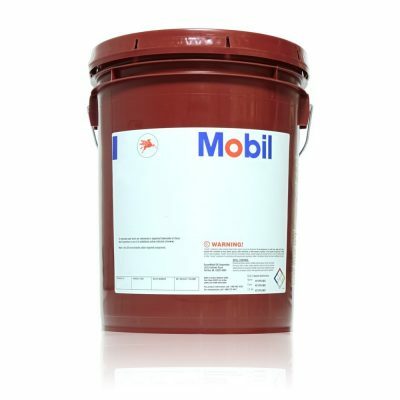 The Mobil Almo Series oils are formulated from high quality base stocks and additives, which provide excellent chemical stability and good protection against wear and corrosion. They offer an optimum balance of adhesiveness, yet are emulsifiable enough to pick up moisture carried in the air stream reducing the negative effects of water on wear and corrosion. They do not form gummy deposits that could cause sluggish valve action. Even in the presence of water, the Mobil Almo 500 Series oils have good preferential metal-wetting properties that maintain continuous oil films. These properties in combination with high EP characteristics help provide excellent lubrication resulting in long equipment life. Mobil Almo 500 Series possess high viscosity indexes and low pour points to ensure good lubrication at the low temperatures resulting from air expansion and guard against icing stoppages while providing adequate films on drill parts that may operate at high temperatures. Oil fog generation levels are extremely low.